The Planted Tank Forum > Specific Aspects of a Planted Tank > Shrimp & Other Invertebrates > Favorite Shrimp Vendors? Looking to order a few shrimpies. Been several years since I have so would appreciate suggestions for your favorite places. I've purchased from The Garden of Eder Shrimp (TGOEShrimp) and Barbee's Bees (imports). I would also recommend L R Bretz Aquatics or Han Aquatics. There's actually several great suppliers of home-bred shrimp although many of them do not have websites where they sell their shrimp. What exactly are you looking for? It would be best to order from someone else water parameters are similar to yours. Ordering imports can be tough, especially neos, as those are often kept in more acidic, lower GH water. 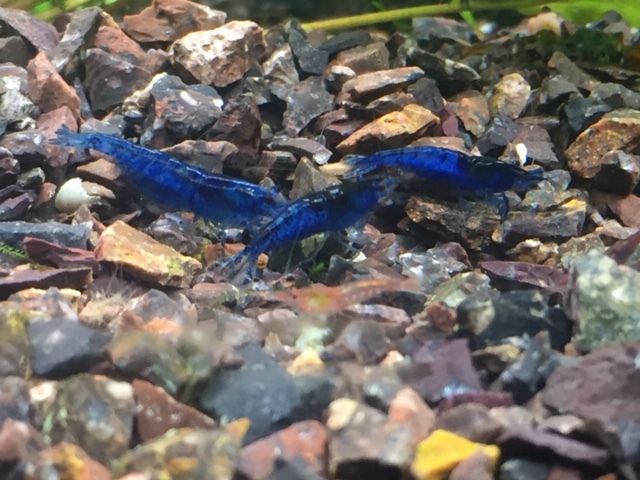 For fancier shrimp, I've ordered from Blue Crown Aquatics and indirectly from TGOE (Grant sold to some friends in the area and we all went in on it). I've had success with Aquatic Arts. They seller a "breeder pack" for some of their varieties (10 females and 5 males), which really helps get a colony off the ground quickly. Just be very careful with neocaridinas from AA. They are usually imported, the parameters are usually very different from ours, and their QT processes still need improvement. They usually keep these in acidic water, lower GH, and often in ponds outdoors where diseases are more common. Looking for a homebred blue dream/velvet/ruby (seen a few names for it ) blue neos now. Have you tried https://flipaquatics.com/ ? He has both home bred and imported, but claims a 30 day quarantine on the imports. I have not bought shrimp from there yet, only dry goods. I picked my cherries up locally, but for the next tank which will be the blue dreams, that is where I intend to purchase. I've bought from Flip and was pleased. Also, Shrimp Bro Co sells really nice blue dreams that I've bought personally. He also sells on Amazon. I suspect these are imports because I lost about half over the first month, but the survivors are doing well and I have tons of shrimplets coming up. I have a Cherry breeder pack coming in from AA today.